“I played Knockerball® and all I got was this awesome, super comfortable, and stylish Women’s Knockerball® V Neck T-Shirt!” This is our the classic T-Shirt available in either black or white. This shirt features the Knockerball® “Get in the Ball” logo emblazoned across the chest, and our smaller “Wings” logo on the back. 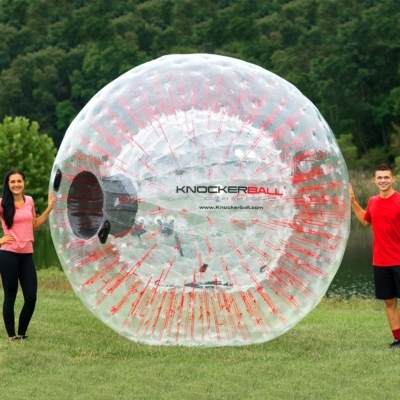 This official Knockerball® V Neck is 95% Cotton and 5% Spandex, Prewashed and the perfect fit – available in Small, Medium, Large, and XL sizes. Get in the Ball (and the T-Shirt) today!